This picture shows the view towards Pike Howe (right) and Mark Gate (left) on the the lower slopes of the Langdale Pikes. 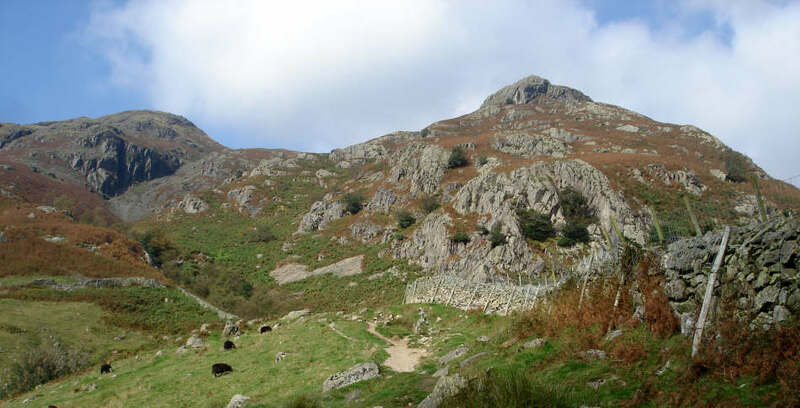 The summit of Harrison Stickle is just visible over the top of Pike Howe. The path up Mark Gate climbs up to the left of the picture.